Speculating on the reasons for the construction of such an elaborate and expensive building, one author makes the possibly questionable statement that: "The reaction to the communes of Paris and Lyon were triumphalist monuments, the Sacré-Coeur of Montmartre and the basilica of Fourvière, dominating both cities. These buildings were erected using private funds, as gigantic ex-votos, thanking God for the victory over the socialists and in expiation of the sins of modern France." 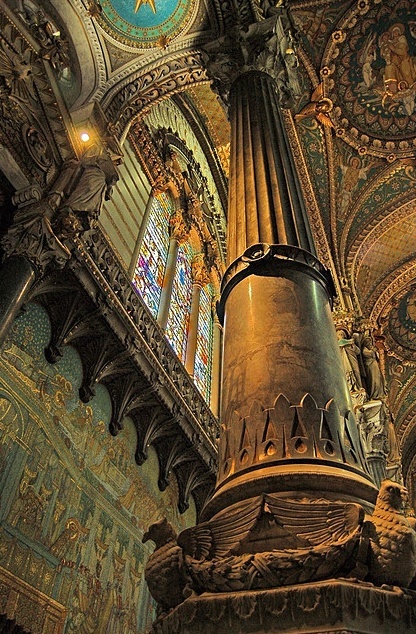 Notre-Dame de Fourvière was included when the whole historic center of Lyon was listed as a UNESCO World Heritage Site in 1998.